The design of cabins at ocean sides, lake shores, and stream banks is both exhilarating and challenging and necessitates some thoughtful ideas. We are all aware of the beauty in a broad vista, the charm of a sunrise or sunset, and the serenity of wild fowl glide patterns. We also dream of lapping waves, thundering sea action, and a gurgling stream. Some enjoy seeing a distant ore boat, a water skier in the bay, or parade of canoeists gliding by. But water can also imply dangers and precautions. Coastal storms can hit with a fury, the water quality of a lake can deteriorate due to nearby farming, and streams can overflow their banks flooding vast areas. Shoreline embankments can be prone to erosion and low lying sites entail high water tables effecting foundations and basements. My cabin region of Minnesota and Wisconsin has over 25,000 lakes and hundreds of shoreline miles along Lake Superior and Lake Michigan. 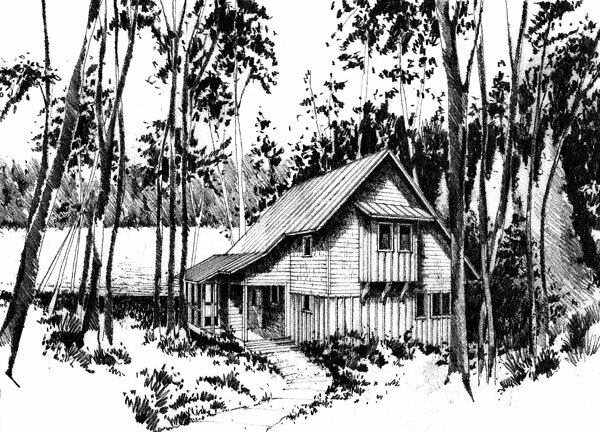 After twenty five years of designing cabins in this mileau I’ve learned a few things along the way, so I’ll share them here. 1. What’s front and what’s back? 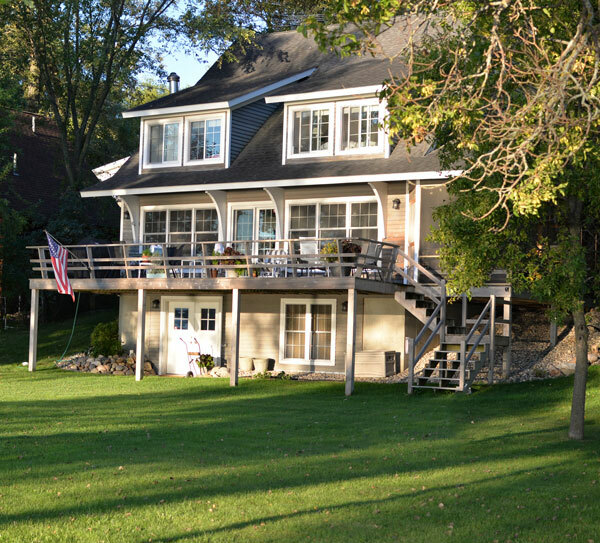 If the cabin is on a lake with a dock, the lake side is referred to as the front, and the entry side opposite is the back. This is confusing so I call them the lakeside and entry side, not front and back. 2. Sites adjoining water are usually sloped. 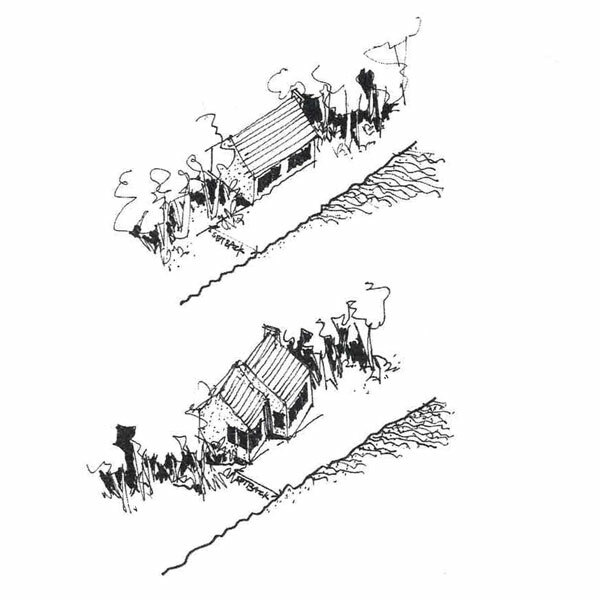 When cabins are located appropriate zoning distances away from the shore, they are usually on the slope. This leads to a main level above and a walkout level below. Steep slopes might even require three levels to get from entry to ground. A few zoning codes are designed to preserve vegetation along lakeshore slopes and thus require cabins to be located 30’ or more back from the crest of the hill. 3. Windows which view the water should emphasize the horizontality of the view. There is little need for windows to rise into the sky, but rather stretch along a lake façade, even wrapping the corners of the cabin. Views to a river or stream can be particularly difficult if the water channel is in a deep gorge which isn’t wide. River sites are best when along a bend in the stream so views up or down the stream are possible. 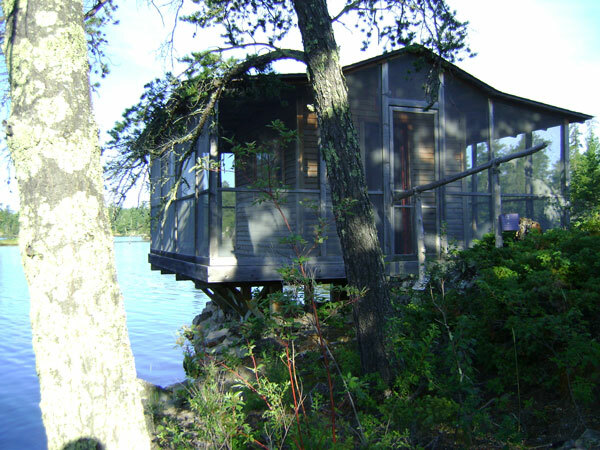 Most cabins on water sites are located with a broad side parallel to the shore. 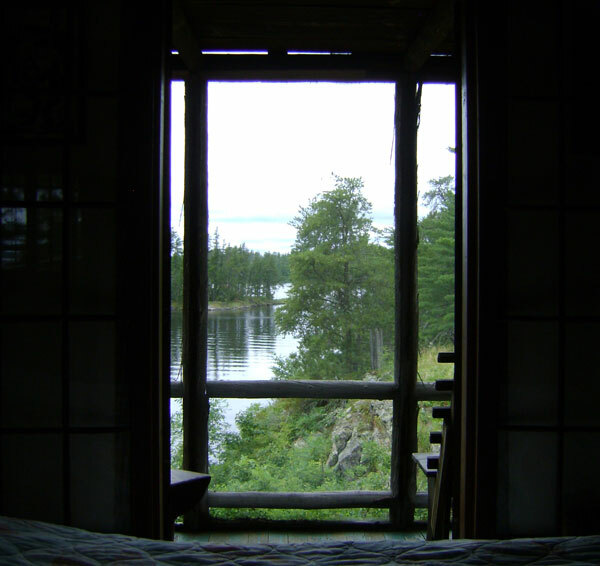 By turning the cabin at an angle to the shore two faces can see the water, one a big lake view and the other the action on the shoreline. Drawing an accurate cross section through the site and a proposed cabin can help ascertain better solutions for views. 4. 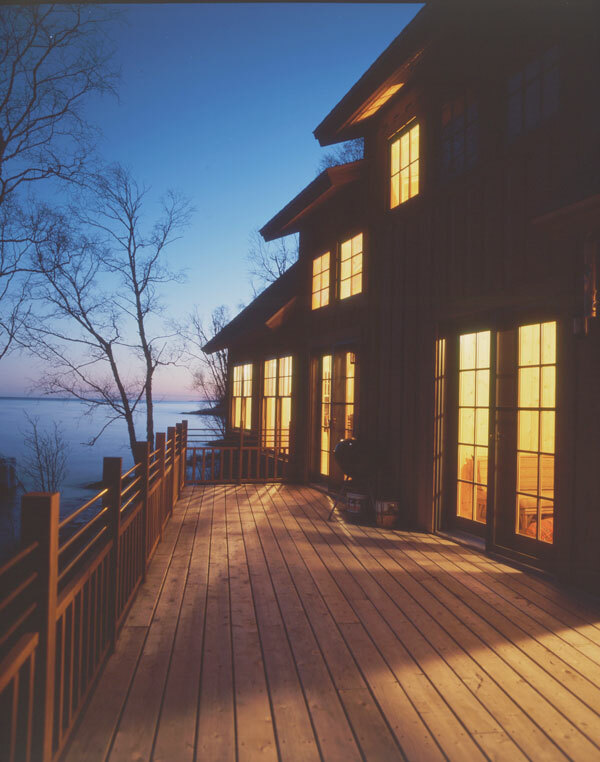 Decks and screen porches are commonly placed on the water side of cabins, blocking views from living and dining rooms. This can be avoided by moving the porch to the side and placing the deck only in front of dining. I choose to front the dining room with a deck rather than living room as we sit higher in dining chairs verses sofas. 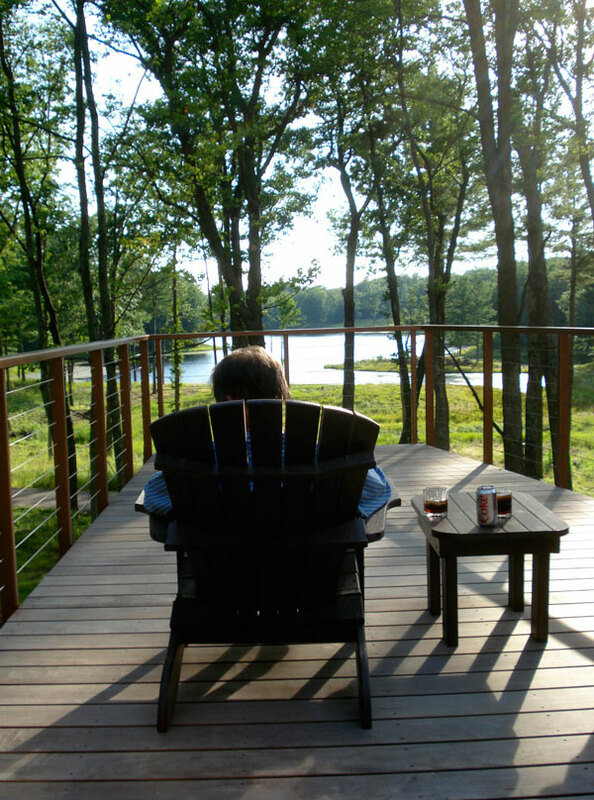 Reducing the length of the deck in front of the cabin can also help with allowing more light into walkout lower levels. 5. 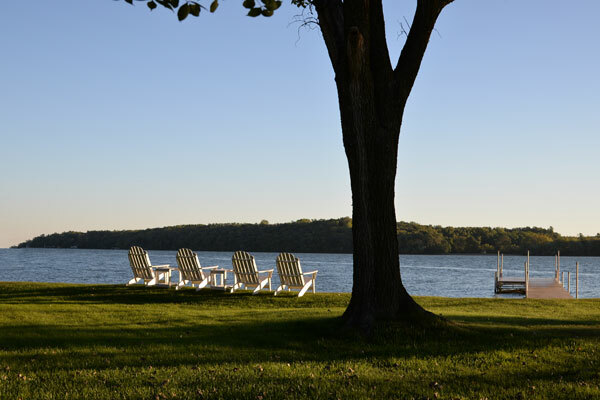 Some zoning codes will allow boathouses, gazebo’s and saunas to be built near the water’s edge. On my lake a boathouse has to be 10’ back from the water and may not be more than 20’ wide along the shore and 26’ deep. The roof ridge can not exceed 13’ from lakeside grade. That’s big enough for two boats pulled up on rail systems and a little storage in the rafters. 6. Lake water tempers the environment creating a ballast against temperature swings on a summer day. 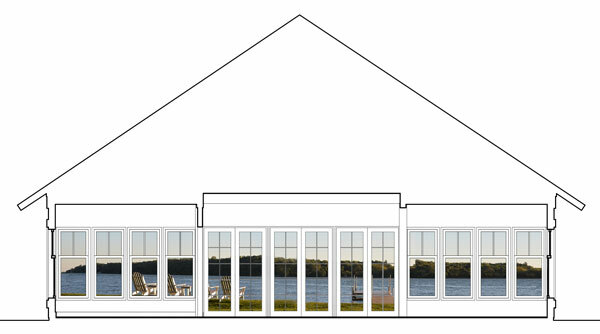 Design your cabin with stack action air flow employing windows low on the lake side and high on the entry side. 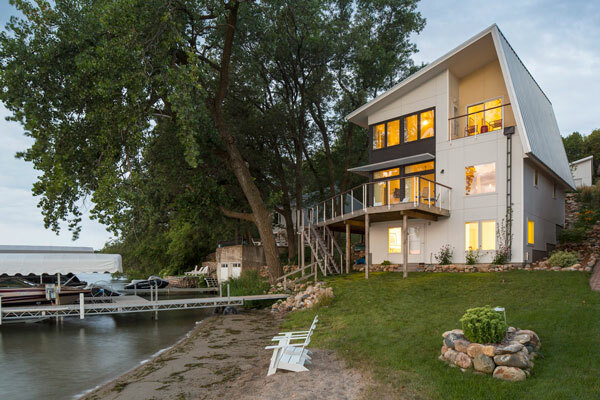 With the aid of a few ceiling fans and a cool lake swim you’ll be able to hear the evening call of the loons rather then the whir of an air conditioner. 7. The water in your lake or stream is a major asset to your property. Join with neighbors to protect it. Reduce mowed lawns to the shoreline and refrain from fertilizer use. Consider a natural buffer along the water, which will slow runoff, reduce erosion and filter nutrients such as phosphorus that can cause algae. 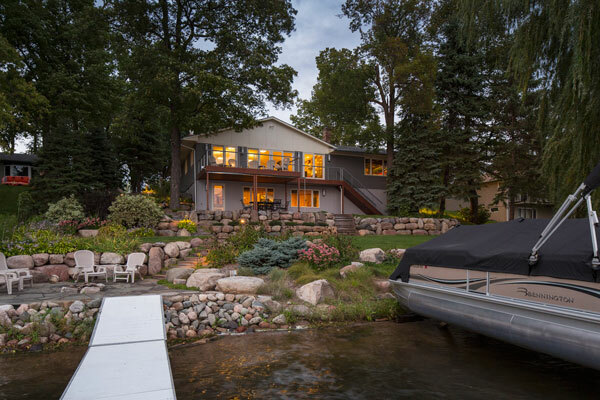 Retain trees on the water side of your property so the boating public views nature rather than a wall of cabins. 8. 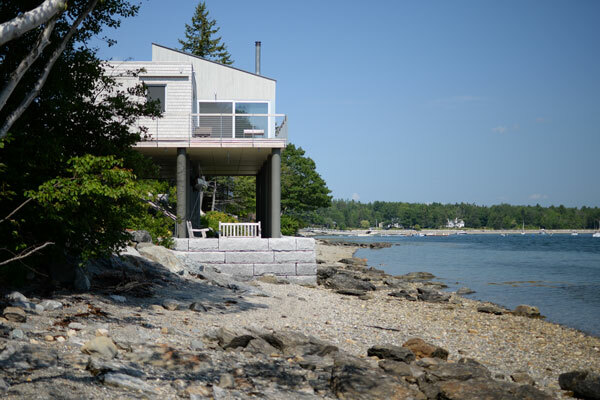 My knowledge of ocean side property is limited to only a couple of coastal projects in Nova Scotia and the Florida panhandle. Hurricane forces and a rising sea level impact the designs in many coastal areas. Warm balmy climates necessitate termite protection and sun shading. Your cabin on the water’s edge is likely to give your family countless days of pleasure and relaxation. 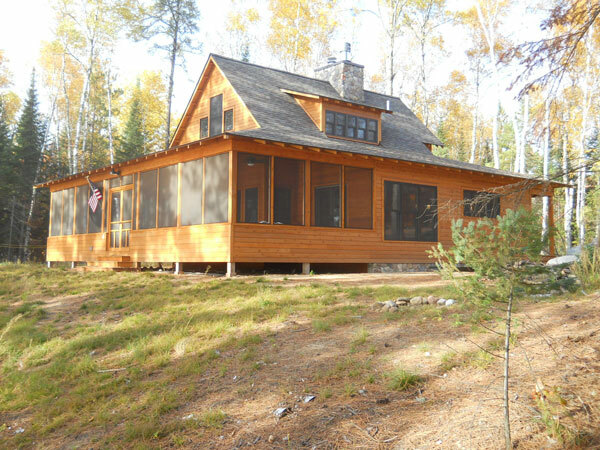 Thoughtful planning of your site and cabin will have lasting value.